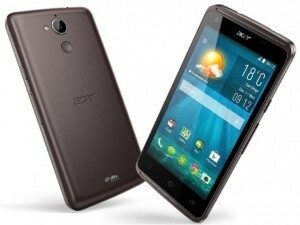 In this tutorial, we will show you how to reset Android on the Acer Liquid Z410. Before starting with the process, make sure the battery of your Acer Liquid Z410 is charged to at least 80%, to avoid any mid process shut downs. The method you will use will depend on the state of your mobile phone. You will use the first method if you have access to the applications menu. If you don’t, for example if you forgot your lock pattern, or if your phone does not respond, you will use the second method, which involves pressing a combination of hardware buttons. If you just want a clean start for your Acer Liquid Z410, but it’s working fine otherwise, this is the method you will use to reset Android. Select the option Backup and Reset, and then Reset to Factory Settings. 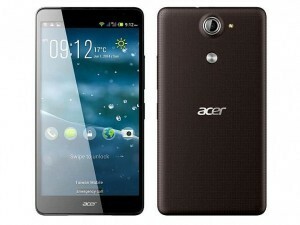 Select Erase Everything, and confirm to start the process to reset Android on your Acer Liquid Z410. The device will reset and start again on its own, having returned to it’s factory settings. Press both volume buttons at the same time, and then press the power button to turn the Acer Liquid Z410 on, being careful not to let go of the volume buttons. Let go of all the buttons when the recovery menu shows up on the screen. Using the volume buttons, navigate to the option “Clean Boot – Yes”. Confirm the selection by pressing the camera button. The process will start automatically, and when your Acer restarts, it will be at it’s out of the box state, ready for you to configure it. You should now have successfully reset Android on your Acer Liquid Z410, but if you had any issues, do not hesitate to leave a comment here below. Are you the owner of an Acer Liquid X1 that you wish to reset Android on? This is the tutorial you need to remove any lock pattern you maybe have forgotten, or return the Acer Liquid X1 to it’s factory settings, and so removing any errors or lagging. There are two ways to reset Android, and we will explain both step by step. Before starting with any of the two methods, please make sure your battery is charged to at least 80%. Bear in mind that when you reset Android you will loose all your personal configuration, installed apps and media. If you can, it’s a good idea to do backup at this point. Tap on Erase Everything, and your Acer Liquid X1 will start the reset Android process. 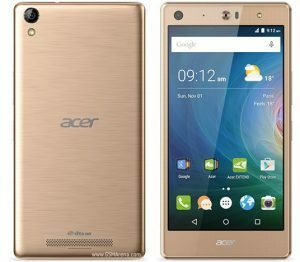 If you have forgotten the lock pattern of your Acer Liquid X1 or can’t access the OS of your phone for some reason, you will use this method to reset android. Press the Power button, and when you feel it vibrate, press the Volume Up and Volume Down buttons without letting go. At this point your Acer Liquid X1 will restart itself and when it comes back it will be as out of the box, ready for new settings. You’re done! You have now successfully reset Android on your Acer Liquid X1 device!